"My name is Kym and I am the founder/owner of Freedom Hill Sanctuary. My love for animals and helping them has always been a passion of mine starting from a young age. 6 years ago I thought being vegan wasn’t enough for me, so I started Freedom Hill Sanctuary. 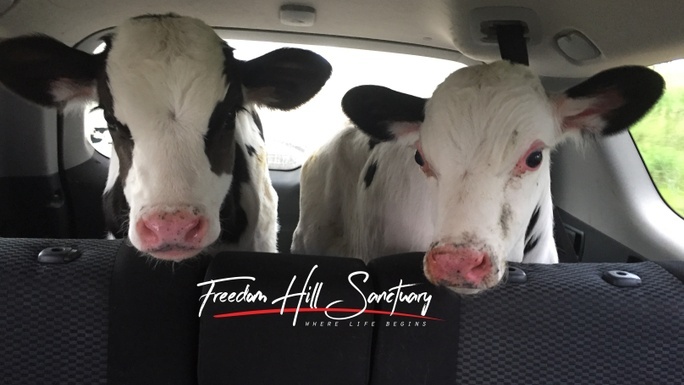 Farm animals are the forgotten ones, so many orphaned, abandoned or injured farm animals in South Australia and no one to care for them, until Freedom Hill Sanctuary. We have grown so much and now in need to move into a larger property so we can continue the much needed work and help these animals. My passion to help farm animals is who I am, not what I do. Our new property will offer the opportunity to open for school tours and the public. Together, we can help to unite under a common denominator; compassion to all. The chance to able to hear individual rescue stories, to meet the animals and to join in a group of like minded people at one place will not only rewarding for children but adults alike. There is nothing these animals want but the basics any animal deserves, love, food, water and shelter. I am so excited that this can finally be shared with everyone! I can't wait to move forward for these animals. Compassion isn’t something that is taught; it is untaught. Help be the voice for the voiceless."